In a small bay enclosed at the foot of a towering cliff, a rare beautiful gem lies hidden. It’s a charming village of old stone houses standing firm on the rugged coastline. And for hundreds of years, it has endured the powerful winds and rough Atlantic waves. Beyond the shadow of a doubt, Pozo de las Calcosas is the most unique hamlet on the island. For two centuries now, Pozo de las Calcosas is the local summer getaway for the townspeople of El Mocanal. 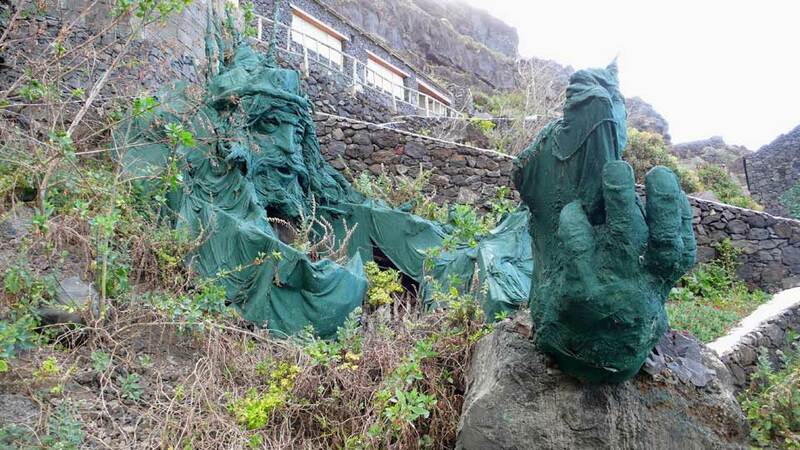 More than a seasonal destination though, it is a testament to El Hierro’s culture and heritage. It is the big open secret of the smallest of the Canary Islands. And travelers are now turning their heads to its direction. Unlike other relics of the past, Pozo de las Calcosas is not only a historical eye-candy. It is very much an active summer destination where people can plunge and have fun… but with two hundred years of stories to tell. 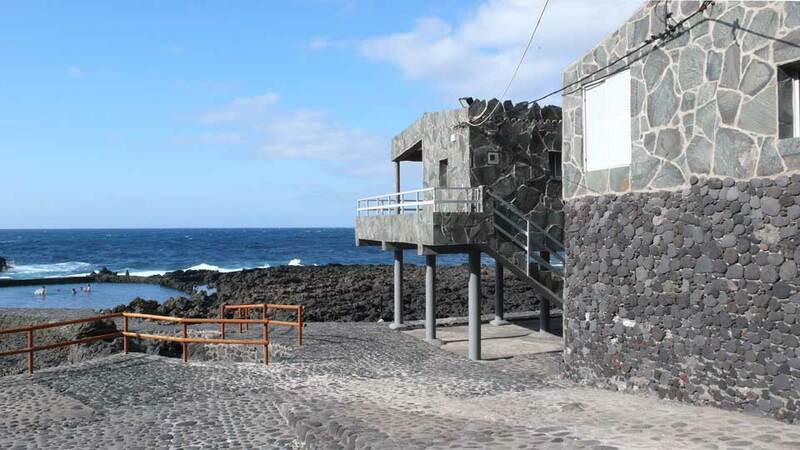 In El Hierro, it is quite common for locals to have seasonal residences. In fact, this is a tradition that dates back to the 17th century. What is not common though is building one at a small patch of shore at the bottom of an immense cliff. However, more than two centennials ago, that is exactly what happened in the north of the island. Sometime around the 1800s, El Mocanal fishermen laid their oars and fishing nets. At the base of a cliff, they built volcanic rock houses with rye roofs using their own strong hands. In only a brief period of time, the few abodes a stone’s throw away from the Atlantic became a hamlet. 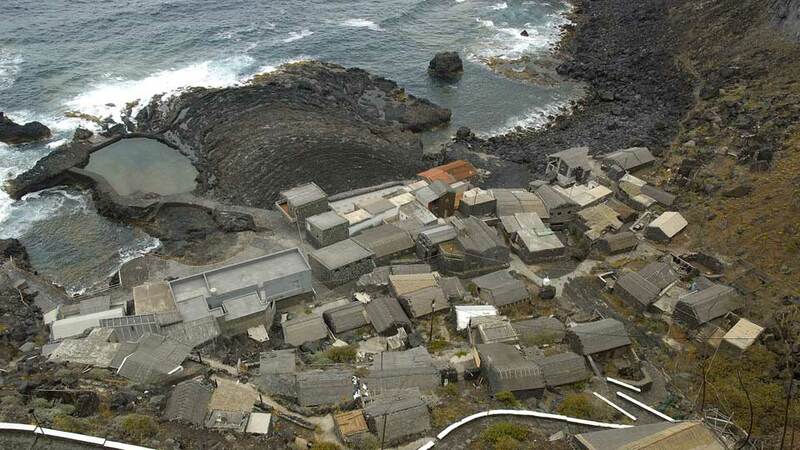 And that gave birth to the most one-of-a-kind village in El Hierro. A cliff-side village greets visitors before they go down the road to Pozo de las Calcosas. The houses are typical, but the area itself is fantastic. To its north is the expansive Atlantic, while the mountains stand proud to its south. With such splendid panorama, even the simple parking space becomes a viewing point. From the top of the cliff, the view is pretty astounding, but it’s bound to get even better. Following the winding footpath to the old hamlet gives visitors a glimpse of what awaits below. Already, the sound of waves crashing onto the rugged shore is relaxing as well as inviting. The few minutes of walk leads visitors to a cluster of traditional Canarian houses built at the most untraditional place. It’s a tranquil old hamlet of volcanic stone houses with rye roofs and cobblestone alleys. How the randomly shaped rocks fit perfectly to form walls is in itself, a puzzle. It seems like the fishermen who built them not only know how to fish but were also artisans themselves. Although the galloping Atlantic waves may intimidate, they also create a spectacular scene. Into the rocky bay, they crash, and smaller waves rush onto the natural pools. It is in these pools where vacationers enjoy the waters even when the sea is rough. During summers or anytime the waves are calmer, they may jump in the open sea and make it their playground. While visitors revel in the waters, the statue of Neptune near the pools watches over them. Made in 2007 from recycled materials, the figure of the Roman god of the sea couldn’t be in a much fitting place. This artificial beauty is a great complement to the natural wonders of Pozo de las Calcosas. Travelers love that Pozo de las Calcosas is not as busy as other tourist spots. One downside of having a small number of visitors though is the lack of accommodations. At the moment, there are no hotels or apartment complexes in Pozo de las Calcosas or the village up top. This shouldn’t discourage anyone from visiting the hamlet though, as there are plenty of options in El Mocanal. The only restaurant in Pozo de las Calcosas is the Casa Carlos. This lovely restaurant has been in the food business for decades now so guests can expect great food. Here, they serve sumptuous meals for guests to feast on amidst the beautiful sea. Should travelers crave for more, many restaurants offer Canarian and international cuisines just a few kilometers away. The only bus that services Pozo de las Calcosas is TransHierro Bus line 09. From Valverde, it stops at Echedo before heading to Pozo de las Calcosas every day. The bus departs every 07:00, 11:00, 16:00, and 17:30 on regular working days. While on Saturdays, Sundays, and holidays, it leaves at 07:00 and 11:00. The ride takes up to 20 minutes and tourists can also take the same bus line returning to Valverde. For visitors coming from towns or villages other than Valverde and Echedo, they may hail a taxi or hire a car. Only one taxi company services the whole island and a 30-minute drive would cost around €25. As for car hire companies, there are plenty near the airport or the harbor. Some accommodations also have their own. “I took the one less traveled by,” Robert Frost wrote in The Road Not Taken. “And that has made all the difference.” He could very well have been describing Pozo de las Calcosas. The road to this hidden gem is without a doubt less traveled compared to other tourist spots. The winding path down the cliff towards the bay also isn’t for everyone. But those who brave the journey are never disappointed. It is a minuscule coastal hamlet with more than 200 years of rich history. Its architectural relics amaze sightseers up to this very day. And the view of the rugged coast meeting the Atlantic is utterly breathtaking. The path towards Pozo de las Calcosas is less traveled, but it is certainly one of the most rewarding.